Following the opening transmission, the Roviana station (“RA”) often broadcast concerts, band recitals and other programmes. Were any of these heard in Auckland and reported? I was previously told that the original Musick Point log-book for 1923 has long been lost, so it is not possible to check that source. 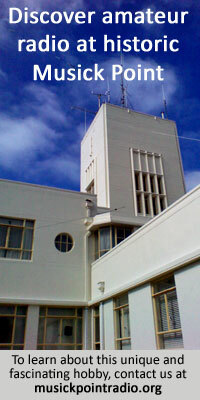 Do you know of any enthusiasts or researchers who might know where I might find proof that Auckland radio operators heard the first signal from Roviana in 1923? Your assistance would be appreciated. Thank you for your assistance in this matter. Hoping you can help.